The collaboration features a chair, table and boots. 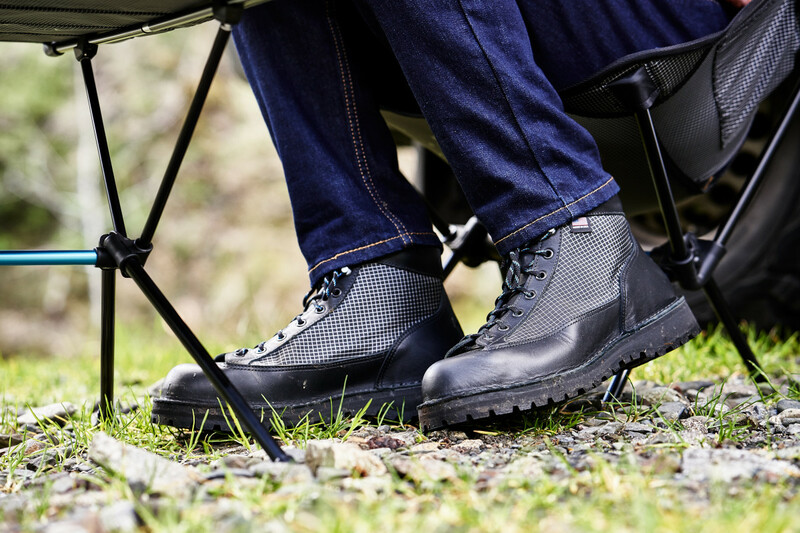 Outdoor brands Danner and Helinox have joined forces to unveil a new camping collection for the spring 2019. 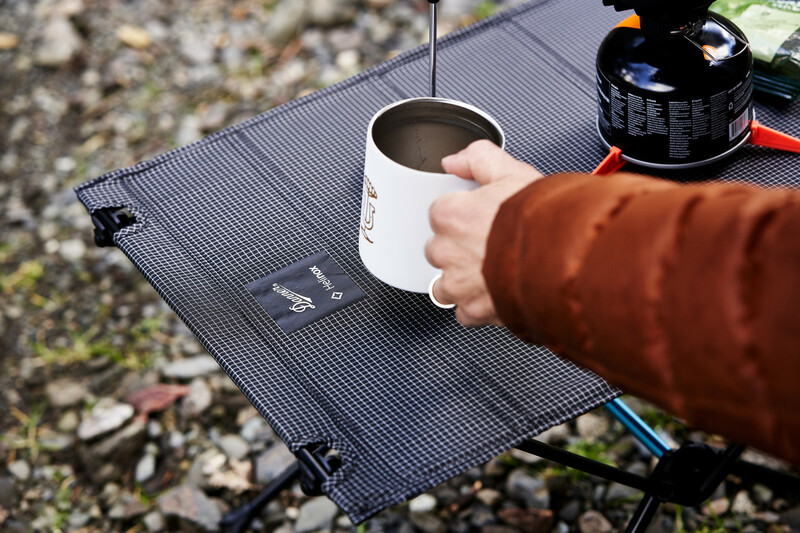 It features three pieces: the Portland-made Danner Light boot, along with a limited edition Helinox Chair One and Table One Hardtop. 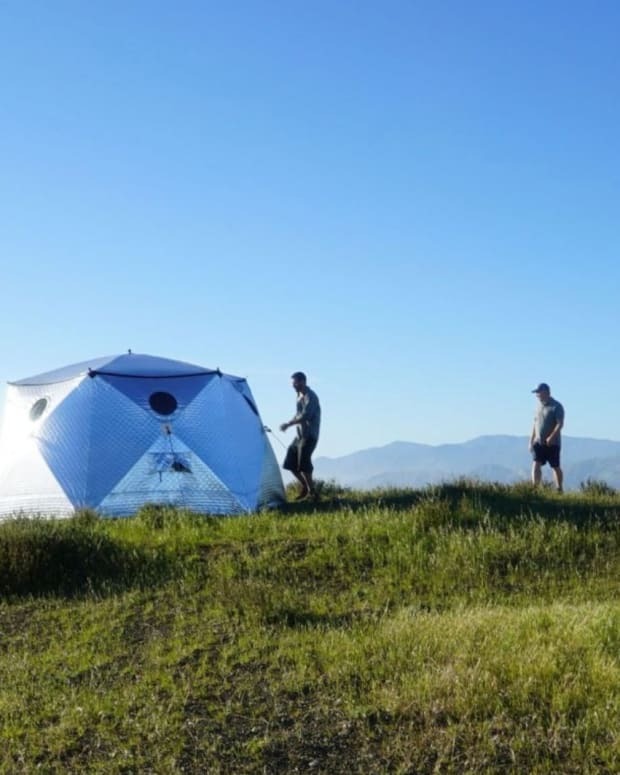 All of the pieces use the black and white ultra-durable Helinox textile. 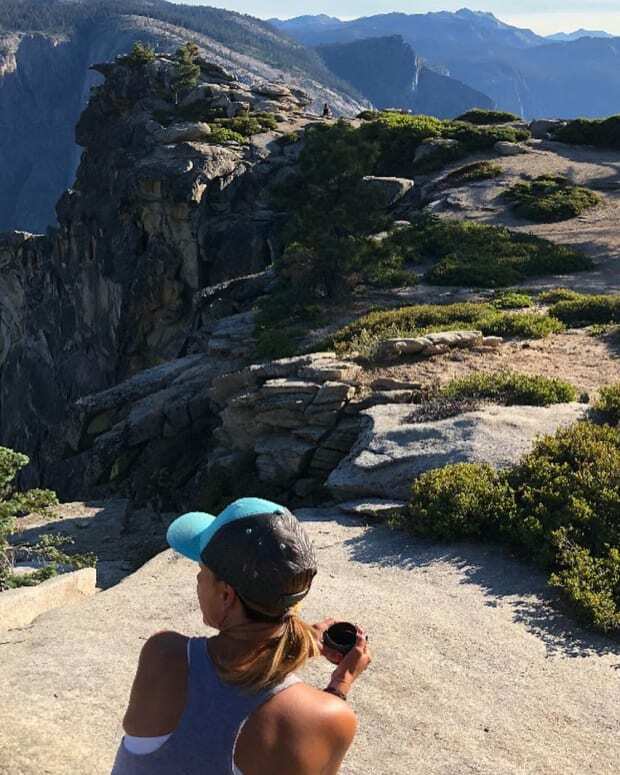 The collection is designed for comfort and durability with superior craftsmanship. 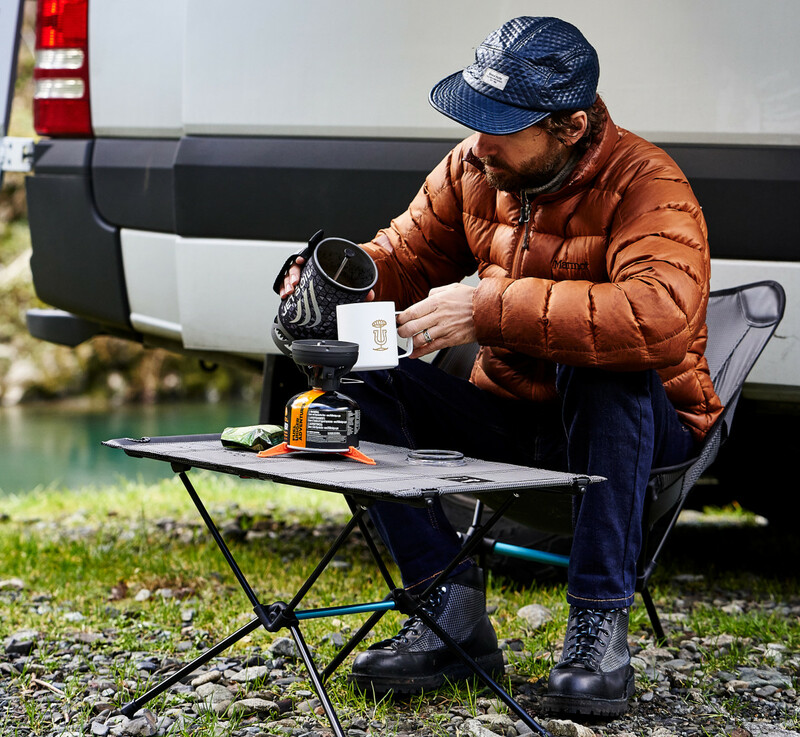 The Danner Table One Hardtop and Chair One are both built to be lightweight and easily assembled and taken apart. They use high quality aluminum poles and the table uses DAC aluminum alloy. The boots are crafted with premium leather, a GORE-TEX liner and Vibram outsole. 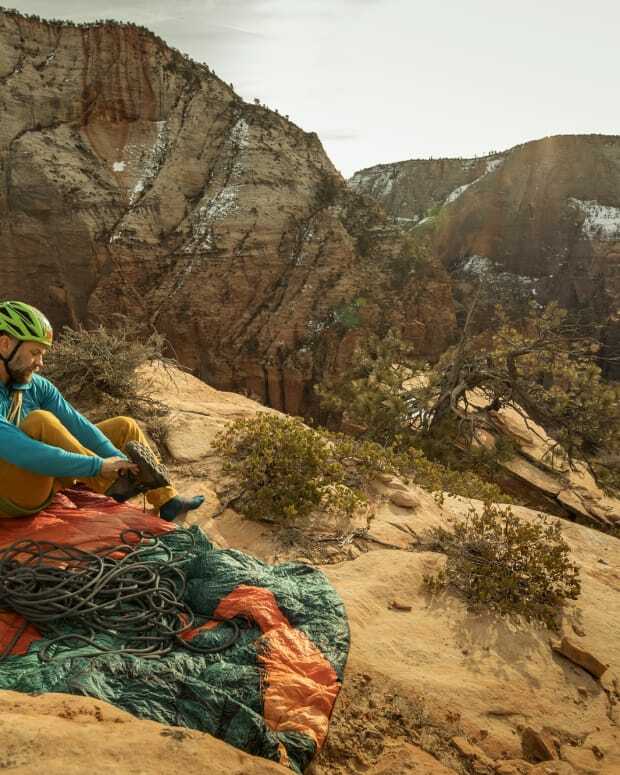 Since this is a collaboration, they added Helinox’s signature ripstop nylon and also upped the strength standard by adding Dyneema laces – the world’s strongest fiber. The table and chair cost $150 a piece and the boots are $390.